I am using the wonderful work of Elias Chatzoudis. You may purchase his work here. The PTU Kit I am using comes from Amy Marie's personal blogspot. It is called ChristmasSnow_AM. You may purchase it here. Please use my tag as reference as where to place the elements. I started off by opening a 600 x 600 transparent canvas. The first element I chose was the snow. I did not resize this element at all. Next is the snowflakeframe2am. I resized this element to 30% & move it to the top left hand corner of the canvas. Next using the magic wand, click inside the frame. C/P your tube of choice & position it inside the frame how you want it to look. I chose her to show from the waist up. Next, C/P your tube again. This time I mirrored mine. Place her toward the bottom right hand corner of the canvas. Next, C/P snowtree2 & resize to 80%. The next set of elements will go on the snowtree. Please use my tag as a reference. Font: Christmas/Flakes, you can get it here. I would love to see your results, please send them to agelesskarmacreations@live.com. Today, I am using the work of Orkus Art. You can purchase Orkus Art work here. I am also using the PTU kit called Christmas Time made by AmyMarie. You can purchase her work here. Please use my tag as a reference as to where to place the elements. Also, I will use the following in this tutorial, Copy/Paste = C/P. I first C/P carpet & resized to 95%. Next, C/P christmastreebig & resize to 80%. Next, if you are using the same Orkus Art tube that I am, you will C/P her & resize to 60 %. Next, C/P ballme3 & resize to 40%. Next, C/P drum & resize to 30%. Next, C/P pres & resize to 45%. Next C/P ballsanta & resize to 45%. Next C/P beadwave3 & resize to 80%. You will have to drag this layer down right above the ballsanta & ballme3 layers. This way it looks as if they are hanging from the bead layer. Next C/P christmastime & resize to 45%. Font: Christmas/Flakes, you can find it here. I'm having so much fun creating tags! Amy Marie has done it again! Here I am using her PTU Christmas Snow Kit & also her Freebie Template called Vintage Christmas. You can get the Kit here. You can get the Template here. The tube I have chosen is one of Keith Garvey's newest for Christmas this year. You must have a license to use his work. You may purchase his work here. Please use my tag as reference as to where to put the elements. I will also be using C/P as Copy & Paste. To start off, I opened the Vintage Christmas Template. You will have to remove the copyright layer. I then, opened my tube & if you are using the same one I am, I resized her to 70%. Place her inside the Light Green Square. C/P snowflake1am & Duplicate twice. I resized it to 5% & placed above left hand corner of template. C/P candypop & resize to 15% & place above right hand corner of template. C/P candycane1 & resize to 15% & also place above right hand corner of template. C/P fancyribbon2 & resize to 50% & place below bottom left hand corner of template. I will use this ribbon to place Amy Marie's name on for the tag. C/P snowman11 & resize to 20% & place him inside the Red Square on the right side of the template. C/P snowman & resize to 30% & place him next to the tubes left foot inside the Light Green Square. C/P Ball_HollyBW2 & resize to 15% & place below bottom right hand corner of template. C/P snow & merge all the way down between the layers named red & 3. I then begun to place the different snowflakes around the tube inside the Light Green Square. C/P snowflakeam1 & resize to 5%. I placed this snowflake as if she is pointing to it. C/P snowflakeam3 & resize to 5%. Also place inside the Light Green Square. C/P ball1 & resize to 15%. Place it inside the red square on the right. C/P ball5 & resize to 15%. Place above snowman/ball inside the red square on the right. The font I used is called kringle. You can get it here. I used a Stroke of 1.0 with a Font Style of Bold. I'd love to see your results. Just send them to the email below. I am using the Pink Gold PTU kit of Amy Marie. You can purchase it here. I am using the amazing work of Cris Ortega. It is a FTU tube. If you'd like to get the tube I am using you can get it here. If you'd like to look at her website, please click here. The font I am using is Elfring with a Stroke of 2.0. You will need to use my tag as a reference to place your elements. I will use C/P for Copy & Paste. 1. To start off, open a 600 x 600 transparent canvas. 3. Use your magic wand & click inside of frame. 4. C/P tube of choice. If you are using the same tube as I am, resize her to 85%. Also, add a drop shadow of 9-14-70-9. The color I used is 214-49-108. 5. Use your move tool to position your tube where you want it in the frame. Next I added my elements. 8. C/P bubbles - resize to 95%. 9. C/P bubbles6 - resize to 95%. 10. C/P bubbles7 - resize to 95%. 11. Move all three below your frame layer. 12. C/P dragonfly1 - resize to 30%. 13. C/P glassbutterfly2 - resize to 30%. 14. C/P dragonfly4 - resiz to 30%. 15. C/P glassbutterfly - resize to 30%. 16. C/P glitterrose3 - resize to 30%. 17. C/P glitterrose4 - Mirror - resize to 30%. For the "Fairy Fantasy" & "Amy Marie", I used the font Elfring, Stroke - 2.0, Font Style - Bold. Save as png. & your done. I would love to see your creations. If you'd like to share your work, please send it to agelesskarmacreations@live.com. Been so busy at work this week. I will have a new tutorial up this weekend. Hoping to work on it Friday! 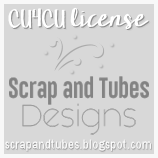 I am using the PTU Scrap Kit of Amy Marie. It is called Devilina Purple, you can get it here at her blogspot. I am also using the amazing art work of Keith Garvey. You can purchase his work & a license to use his work here at PSP Tubes Emporium. For placements of elements, you can use my tag as reference. 15. C/P hotlips2 & resize 30%, place under flowers in the top left hand corner. With this placement, it makes it look like a face! For the copyright, I used Paper014 for the Foreground & Paper2 for the Background with Arial font. Save As png your done. For Amy Marie's tag name, I used Paper014 for the Foreground & Paper012 for the Background. I used the font Freestyle Script with a stroke of 2.0. Thank you for taking the time to do this tutorial. I would love to see your work! If you'd like to send it to me, please send it agelesskarmacreations@live.com. I am using the awesome work of Amy Marie. This is one of her PTU kits that you can get here at her blogspot. I am also using the awesome work of Ismael Rac. You need a license to use his work, you can get that here. Please use my tag for reference during this tutorial. 1. To start off, I used a 600 x 600 blank canvas. 3. Copy & Paste Glittersplatter2 & resize to 70%. 4. Copy & Paste Paw2 & resize to 130%. 5. Copy & Paste your tube of choice. I am using Jess by Ismael Rac. If you have chosen to use her, resize to 70%. For steps 6 - 8, you will place these elements at the bottom of the frame side by side. 6. Copy & Paste glitterstar2 & resize to 40%. 7. Copy & Paste glitterstar1 & resize to 40%. 8. Copy & Paste glitterstar3 & resize to 40%. 9. Copy & Paste bow2 & resize to 30%. Place this bow at the top Left hand corner of the frame. 10. Duplicate bow2 & place your duplicate at the bottom Right hand corner of the frame. 11. Copy & Paste bow3 & resize to 30%. Place this bow at the top Right hand corner of the frame. 12. Duplicate bow3 & place your duplicate at the bottom Left hand corner of the frame. 13. Copy & Paste boots3 & resize to 40%. Place at bottom right hand corner of canvas next to the frame. 14. Copy & Paste emokitty & resize to 30%. Place above bow on bottom right hand corner of frame. 15. Copy & Paste bottle1 & resize to 30%. Place above bow on left hand bottom corner of frame. Next add your copyright & your name. Save as png & your done. Font: Ravie. You can get it here. Place tag name at top of frame. Save as png & your done.